A highly original and innovative study that brings critical social theory to bear on the ideas of architectural and design education at the Bauhaus – tracing the spread and influence of these ideas worldwide. Developed in post WW1 Germany, the principles of Bauhaus architecture and design were transferred by some of its leading figures to architecture schools at Harvard, Chicago and the IIT. Yet in the postwar era, they also became increasingly influential in architecture schools in Western and Central Europe, Japan, South America, Africa and the Middle East. This book provides a critical examination of the profound social, cultural and spatial consequences of these developments and the erasure of class, race, gender and culture which the ‘modernisation’ of design embodied. 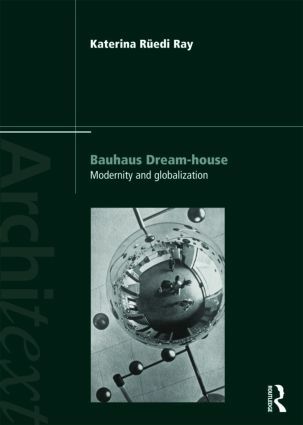 Written to appeal to an extensive readership, not only in the fields of architectural and design education, but in architectural history and in critical pedagogy more generally, it is also for teachers and students in German art and cultural history and the many architects worldwide who continue to be fascinated by the ideas of the Bauhaus. Katerina Rüedi Ray is Professor and Director of the School of Art at Bowling Green State University. Former Director of the School of Architecture at the University of Illinois at Chicago, she studied at the Architectural Association and University College London and has taught, published and exhibited extensively in Europe and the USA.